Priority Colo is a 100% privately held company, founded in 2002. 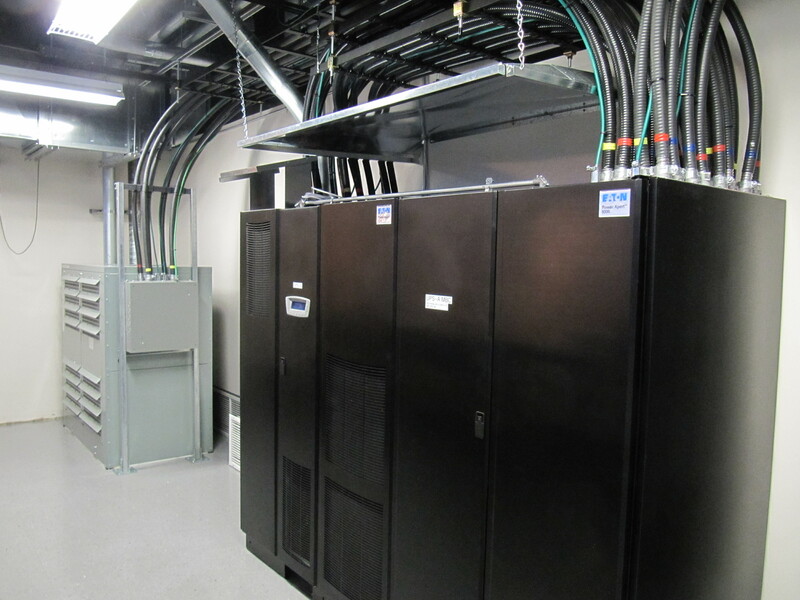 Our goal is to provide customers with cost competitive colocation services. With this unique niche in mind, the company has seen organic year over year customer and revenue growth, with unprecedented long-term customer retention. Our ability to pair custom tailored solutions with a stable & sustained network and facility uptime, and operational transparency have enabled our customers to grow with us. We currently operate two facilities in the GTA (Greater Toronto Area), providing easy access for a variety of clientele in Canada's largest city and economic center. Both facilities feature redundant Uninterruptable Power Supply units (UPS's), redundant Computer Room Air Conditioning units (CRAC/HVAC's), redundant core and distribution network layers, along with redundant Internet Transit & Transport providers. Both facilities are secured by RFID key-cards, biometric access, individually-locking enclosures, and multiple layers of CCTV cameras. Our first facility (Tor1) is located at 151 Front Street West, Toronto, Ontario. This facility was purpose built in 2007, after having been a sub-tenant in the building for five years. 151 Front Street West is Canada's largest carrier hotel providing unparalleled redundancy, transit diversity, and building amenities. 151 Front Street West is also home to the Toronto Internet Exchange (TorIX), where we interconnect extensively with other peer networks, allowing us to provide one of the most diverse, redundant, and proficient networks in the region. Our latest facility (Tor2) is located near Highway 404 & Highway 7 in Markham, Ontario. This facility was built in 2013 to provide additional expansion room for customers in our Tor1 facility, which has been near capacity for several years. Our Tor2 facility provides easy access for clientele outside of the downtown core, with ample free on-site parking, situated less than 1km from Highway 404, Highway 407, and Highway 7, within 10km of the highway 401/404 intersection, and less then 25 minutes from Toronto Pearson Airport (YYZ). This facility is geared towards larger customers, and provides a substantially larger facility footprint, more space for all customer activities (cubicle work space, larger cabinets, larger aisles, etc. ), and allows for higher density options over our Tor1 facility. 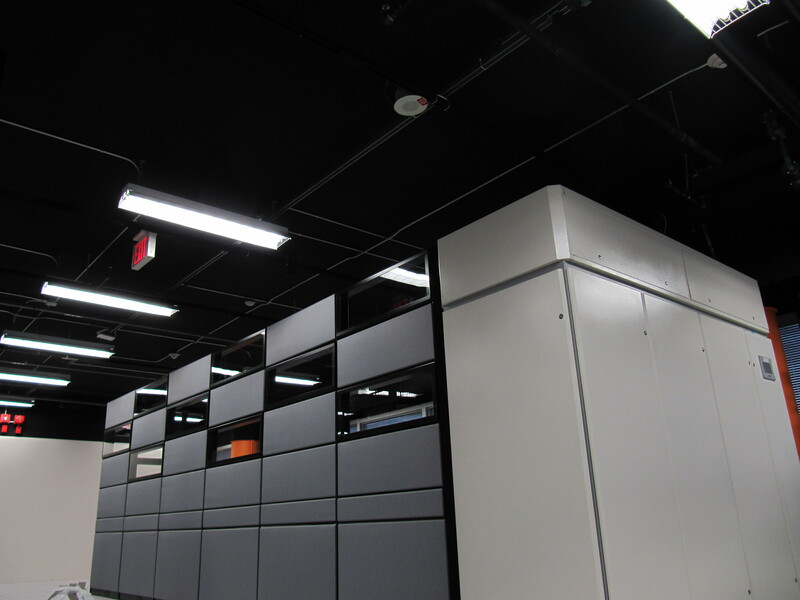 This facility also features redundant diverse transport connections back to our Tor1 facility, accommodating redundant customer interconnects (VLAN's) of varying speeds between the two facilities, for point-to-point interconnects/LAN extensions from 151 Front Street West. Priority Colo has operated its own BGP network since 2003 (AS30176), currently consisting of multiple 10gbps circuits from a diverse group of carriers. 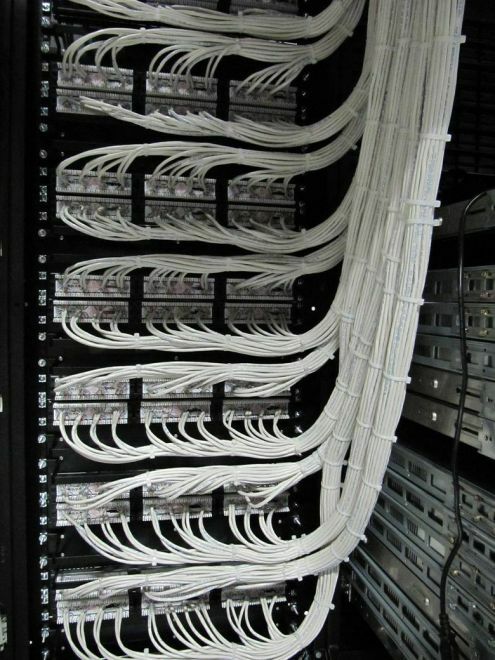 Our redundant core and distribution layers are connected with multiple 10gbps Inter-Switch Links (ISL's), removing potential bottlenecks, and ensuring every device has diverse connectivity and routing at all times. Each customer connection on our BGP network receives a Gigabit Ethernet port, ensuring fast connections capable of ample throughput at all times. Our network has consistently sustained in excess of 99.99% uptime, aided by extensive end-to-end monitoring of all connected infrastructure, as well as perpetual analysis and optimization. We ensure our operations are sustainable, and invest in Capital Expense whenever possible to reduce Operating Expense. We also approach our customers in an effort to ensure their needs are maintained in the most sensible and sustainable manner possible. We offer Dedicated Server hardware upgrades, non-recurring services, and related solutions as one time fees, allowing customers to monetize in a sustainable fashion, while ensuring services are reasonably priced. We take pride in offering extensive service monitoring, bandwidth graphing, to all customers across our network, free of charge. Additionally, any equipment within our shared/escorted area always includes a free Remote Reboot port as part of the service. We provide our clients with extensive guidance which may range from advice on hardware, and software configurations, to best practices that we have developed over many years in the industry, helping steer clients away from potential pitfalls or losses. We provide our cabinet colocation customers with a Service Level Agreement (SLA) that guarantees 100% facility uptime, and 99.99% network uptime, backed up by some of the most competitive agreement terms in the Industry.